2 Beds 1 Bath 1,210 Sq. ft. 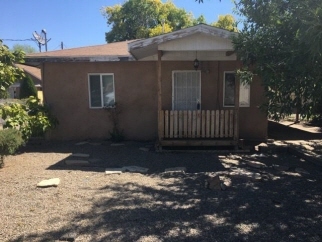 Description: Lovely ranch style home in the heart of los lunas. Open floor plan with 2 living areas with a fireplace in the family room. Hardwood flooring in front living area and tile in wet areas. Seller says refrigerator stays. Lots of storage space in the 12x16 shed. Easy access to railrunner and minutes to albuquerque. Close to all city conveniences. Owner will consider financing with nm real estate contract!